It was another average Swarthmore morning. I had gotten an adequate amount of rest and I didn’t have a care in the world. It was nothing out of the ordinary. So when I opened my email and saw, “For the seventh consecutive year, Swarthmore College will conduct a public hunt of the deer population,” I was shocked. The deer cull is carried out by licensed hunters at approved locations and times where traffic in the Crum Woods is minimal. Bait is used to lure the deer and shots are taken with a suppressed, small caliber rifle when there is a clear line of sight and a backstop provided by the shooter’s elevation.The deer are euthanized by one shot from a vehicle or tree stand. Undoubtedly, there is a compelling interest in stabilizing deer populations for ecological, economic, and health reasons. But the most cited reason by the Crum Woods Stewardship Committee is to protect the biodiversity and health of the Crum Woods. According to the 2003 Conservation and Stewardship Plan for the Crum Woods forests in our region can support 5-10 deer per square mile. The Crum Woods is 0.23 square miles or 146 acres and can only support about two deer sustainably. There are also significant human costs to excessive deer populations. A 2003 study showed that Lyme disease incidents were reduced by 83% in a residential community following a 92% reduction in the deer population. Lyme disease epidemics occur most frequently in areas with dense white-tailed deer populations. Deer-vehicle collisions are also a risk for densely populated communities. 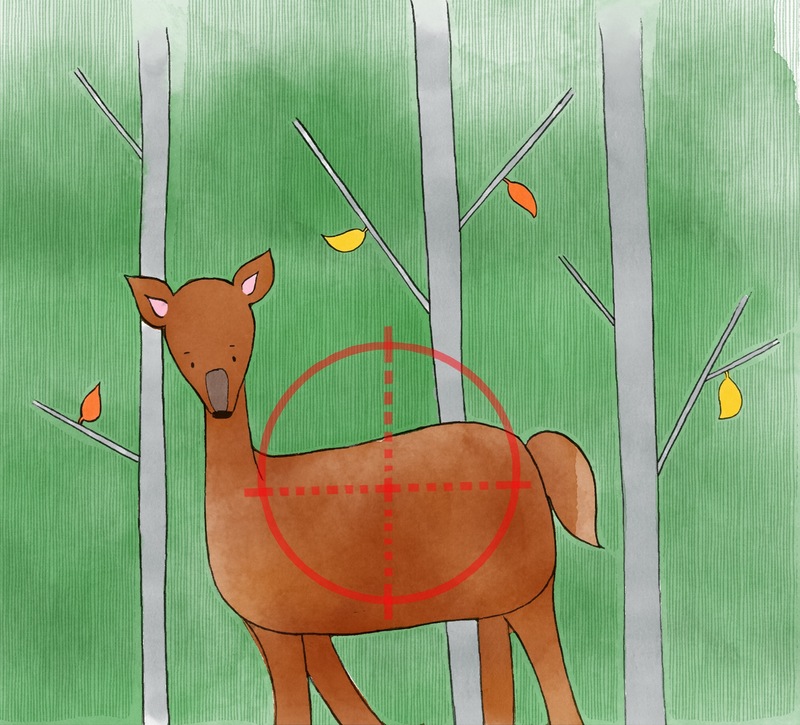 A study of 3 suburban communities has shown that sharpshooting deer populations significantly reduce deer-vehicle collisions. While collisions may not seem like they matter much, from July 1, 2011, to June 30, 2012, deer-vehicle accidents resulted in over $4 billion in costs and 200 human deaths. 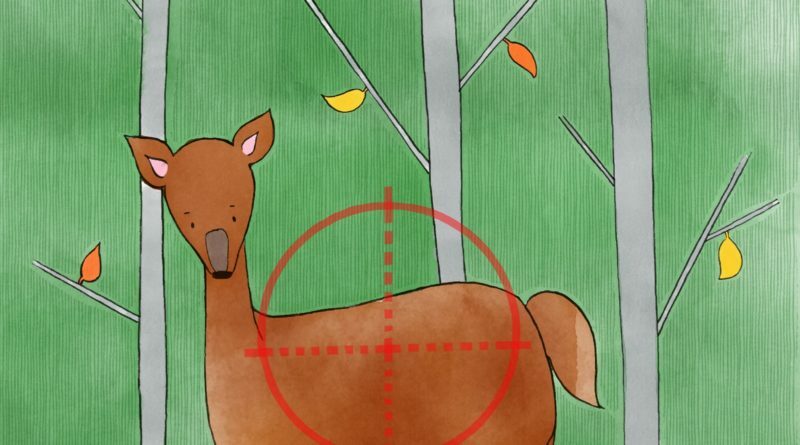 Since reducing the deer population is clearly a necessity, the central question is whether Swarthmore’s method of deer reduction is the most humane way available. Contraceptive methods are the most commonly touted humane alternative to lethal measures. The 2007 Deer Management Plan for the Crum Woods did not recommend contraception on the grounds of lack of FDA approved fertility contraception and its unreliable track record in reducing deer populations sustainably. Another issue particular to the Crum Woods is the high dispersal rates of the deer population. The Crum Woods’ small size and interconnectedness with other habitats make localized management such as contraception less effective. There are two primary forms of contraception to stop deer growth. The first is PZP, or porcine zona pellucida, which immunizes the dear against a protein or hormone needed for reproduction. The other is GnRH, known commercially is GonaCon, which stops eggs from being released by ovaries. For contraceptives to be effective, deer populations must already be at a target level, and a high percentage of does must be treated. Contraceptive methods cannot deal with sudden immigrations of deer or pre-existing large deer populations, both of which are present in the Crum Woods. While it is clear that lethal methods are necessary for the controlling of deer populations, the Crum Woods Stewardship Committee should take steps to integrate the use of contraceptives alongside sharp-shooting as soon as contraceptives become commercially and practically viable. It is unlikely that contraception alone could control deer populations, but there is no reason why it can’t be used in conjunction with sharpshooting to lessen the amount of animal suffering. Is Swarthmore College ethical towards animals? I’d say not, given that the food it serves in its cafeterias and eating establishments subsidizes the meat and dairy industries. These two industries arguably cause as much suffering as any institution in history. But, the college’s approach towards the deer cull is fine. Featured image created by Erin Ford ’19/The Daily Gazette.